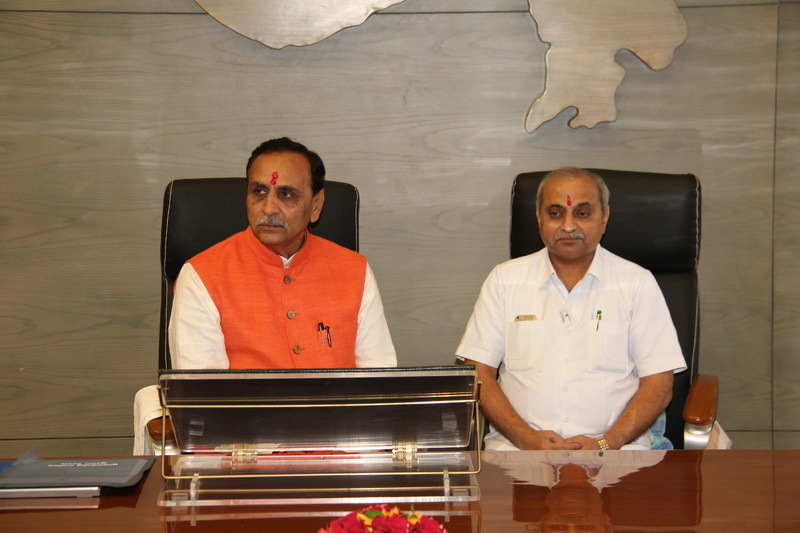 Ahmedabad: Gujarat chief minister Vijay Rupani will tomorrow launch several new initiatives of Gujarat State Road Transport Corporation (GSRTC) on Tuesday at Naroda in Ahmedabad in presence of Dy CM Nitin Patel, Transport Minister RC Faldu, Chief Secretary Dr JN Singh among others. Rupani will inaugurate the central office as well as the control and command centre at the state transport office at Ranip. He will witness demonstration of central workshop, flag off super express and ready – midi buses. Rupani will also launch metro link route at GSRTC Central office at Naroda. 2. Total 29 major changes have been made in old design for better security features such as the use of Fire Retardant material. 3. For comfortable journey, facilities such as larger leg room and more windows are added to buses. 4. Safety measures have been taken to avoid short circuit in the bus. 5. Necessary changes have been made in design of buses for smoother depot level repair. 1. Modular furniture for employees and officers. 2. Single building for convenient administrative and management work. 3. Advanced control and command centre to monitor 7465 GPS attached buses. 4. IDMS, INMANS, EBTM, OPRS, CCTV system for monitoring of operational activities.